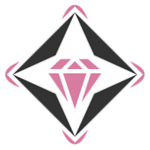 Kendal is a very popular name brand and has introduced countless products and innovations on to the market. We also reviewed other parts cleaner for industrial and commercial uses. 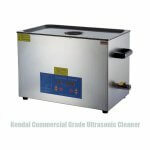 This a much larger commercial grade ultrasonic cleaner brought to you by Kendal. This cleaner has a surprising 8 individual sets of powerful ultrasonic transducers. 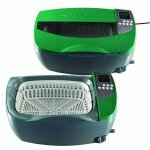 The cleaner has a maximum cleaning power and uses 480-Watt heater. 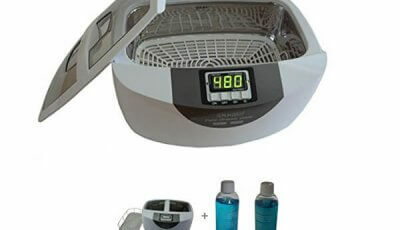 The ultrasonic cleaner has a timer feature and temperature controls. This makes it easy to adjust your cleaner depending on what type of object you plan on cleaning. 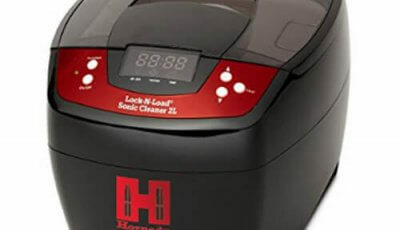 The cleaner also features a full stainless-steel body that is resistant to both acid and alkaline wear. 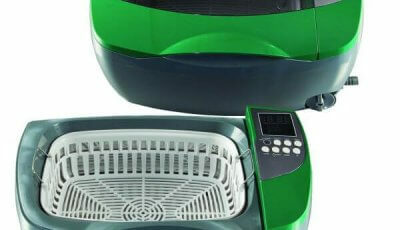 It has a drain with a flow valve to make cleaning and rinsing the cleaner as easy as it can be. 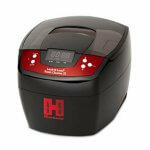 This is both a safe and efficient heated ultrasonic cleaner that has an improved design for enhanced cleanings. It is suitable for various applications such as industrial, environmental and commercial. 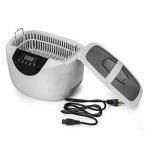 Other than its impeccable cleaning ability, one of the best parts of this ultrasonic cleaner is that you can easily re-use your cleaning solution. High-quality cleaning solutions are not cheap, therefore being able to reuse them can end up saving you a lot of money in the end. You can simply use the flow control valve and a hose or funnel to drain the solution and put it back into its original container for later use. 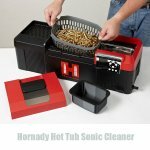 Ultrasonic cleaners work by creating tiny, yet powerful sound waves that create tiny bubbles in a cleaning solution. These bubbles then adhere to and work to break down dirt, oil, contaminants and other debris on an object immersed in the solution. The tiny bubbles are able to get into even the tightest cracks and tiniest holes. 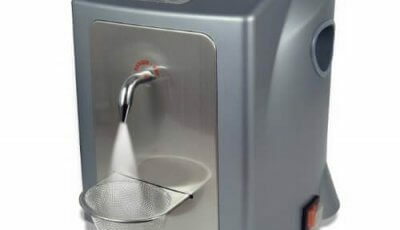 Most ultrasonic cleaners can simply be used with water; however, they tend to be far more effective when used in conjunction with a cleaning solvent. 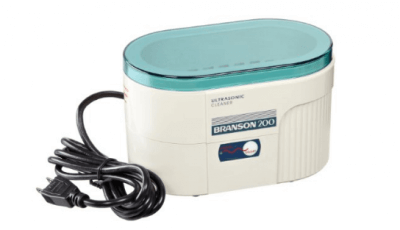 Ultrasonic cleaners are typically used for mall parts but can really clean anything that you can fit into the cleaner. 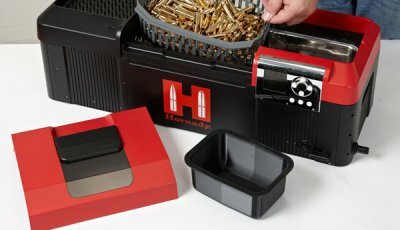 With an ultrasonic cleaner, you will be able to clean anything from tools, coins, jewelry, gun parts or watch parts. 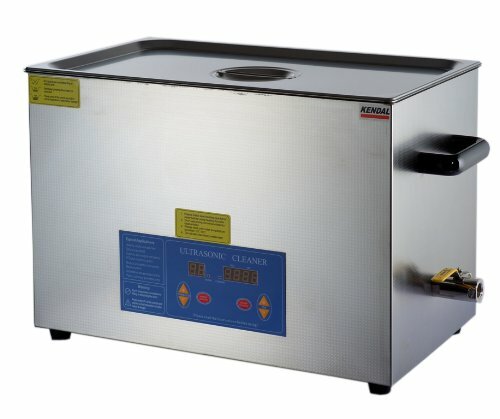 The major advantage to using an ultrasonic cleaner, as opposed to other types of cleaners, is that they can penetrate and clean tiny areas that other cleaners can’t.